A nymph longhorned tick, left, and an adult female, right, placed on an U.S. dime. 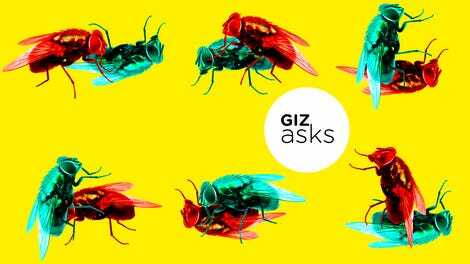 Ticks and insects in general are steadily spreading across the United States and causing more disease, aided by an ever-cozier climate. If that’s not bad enough, though, it’s almost certain that an invasive species of tick, newly discovered last year, has firmly established America as its home. And this tick is potentially capable of causing even more frightening illnesses. The Asian longhorned tick (Haemaphysalis longicornis) has now been spotted in seven states, mostly along the East Coast, the New York Times reported Monday. It was first discovered on a pet sheep in New Jersey last summer, and had been seen this summer in Arkansas, North Carolina, New York, Virginia, and West Virginia. Just last week, Pennsylvania became the latest state to report an Asian longhorned tick sighting. Female longhorned ticks usually prey on the blood of livestock such as cattle, but they can and do enjoy people as well. Their appetite is apparently so voracious that, in large enough numbers, they can kill off young animal victims. Building up their numbers is horrifyingly easy, too, since longhorned ticks have the ability to both sexually and asexually reproduce. One fully fed mama tick, according to the New York Times, can lay hundreds of eggs all by her lonesome. The longhorned tick has been rarely spotted in the U.S. before, but these appeared to be isolated cases brought over from animals in countries where the tick was endemic. The pet sheep in New Jersey, however, had never left the country. Later testing of other ticks suggested that this lineage has been in New Jersey since 2013. 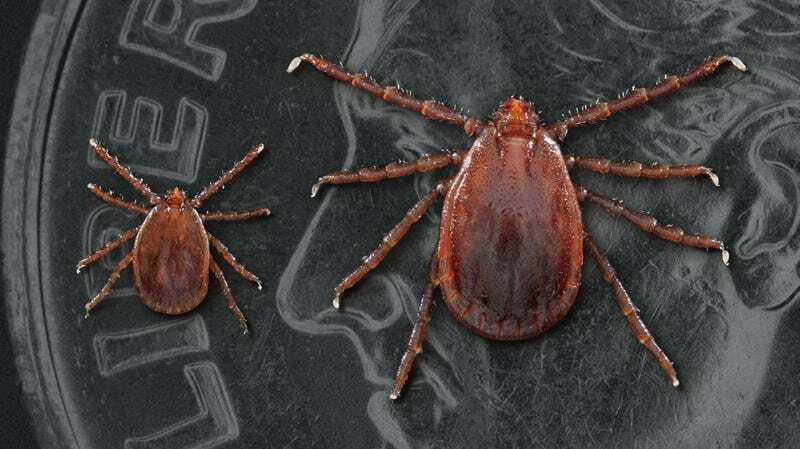 Like many species of tick, the Asian longhorned tick can carry disease-causing pathogens, including bacteria that resemble those that cause Lyme disease in the U.S., the Powassan virus, and the parasite responsible for babesiosis, an infection that goes after red blood cells. In Eastern Asia, the tick is thought to spread a virus that causes an emerging disease known as severe fever with thrombocytopenia syndrome (SFTS). People with SFTS have abnormally low platelet levels and can rapidly suffer organ failure. The mortality rate of SFTS can reach as high as 30 percent. At this point, though, none of the longhorned ticks tested by the CDC have been found to carry any germs themselves. It’s also possible that SFTS might not be a danger that people in the U.S. have to worry about. The disease hasn’t been spotted in other areas of the world where longhorned ticks have invaded, such as Australia and New Zealand, indicating that it might take unique conditions for it to be transmittable to people. Still, the longhorned tick’s arrival stateside is the latest sign of an encroaching tick invasion, which will surely bring more disease with it. In July, the National Institutes of Health reaffirmed that tick-borne diseases have become much more common—and are occurring in more parts of the country—over the past decade. It’s now estimated that at least 300,000 Americans get Lyme disease annually, and the toll is only likely to rise.